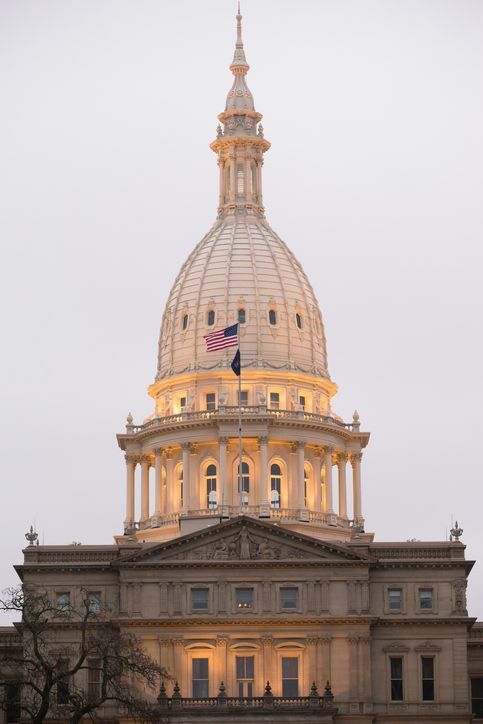 Michigan's capitol building is about to receive the largest state government geothermal system in the United States. Drilling for the geothermal field is scheduled to start later this year as part of a $70 million infrastructure upgrade. The geothermal system will cost around $4-million upfront but save the state $300,000 a year on heating and cooling costs. The system will pay for itself in about a decade. This project calls for 224 individual bores that reach 500 feet below the surface. These holes will house a vertical loop that will carry vegetable-grade glycol transfer fluid underground, where it will be heated and cooled naturally for the building. To ensure safety if there is a leak, the liquid is the same food-safe glycol used in McDonald's milkshakes. Plumbers Training Institute offers this class in an easy to use, HD video, and mobile-friendly format. This entry was posted in Plumbing and tagged Michigan Plumbers.